TransDevelopment served as Development Manager for the Canadian National’s automotive distribution terminal in Lansing, Michigan. 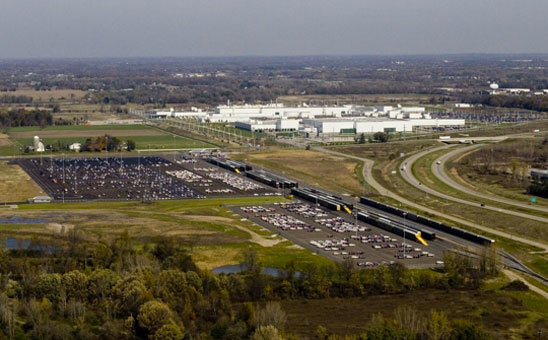 The $12 MM terminal expansion serves General Motors’ adjacent assembly plant. The expanded automotive terminal includes a 96-position multilevel loading yard, over 5,500 vehicle bays, and loading positions for 45 multilevel trucks. TransDevelopment established a permanent Administration Building and improved the facility entrance as part of the project. TransDevelopment’s project responsibilities included conceptual design, detailed design, permitting, and construction management for the terminal expansion. The 175-acre site was developed in a phased master plan to meet client goals.